As my first ebook is already out on the market, I thought it would be a fair thing to write a quick review of what I create. It is for the purpose to let my readers understand that they will get a value for a fair price if they decide to purchase any of my books. Amazon has strict rules for Kindle Publishing and I will try my best to give a quick insight into what to expect. I have many posts on my site about the Lucid Dream topic and many people try to chase this path to have awesome or controlled experiences. This book gives a full insight into what dreams are, where they are played out, who we are, what our nature is basically etc. 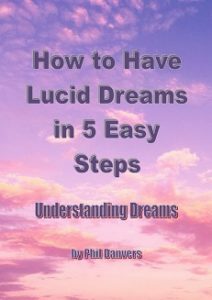 You may also find another article very useful in the Lucid Dream topic here. And be aware that unlike other books, I won’t share guessing, religious belief systems or not even copied content from countless sources, from people or theories. Just the actual truth behind the scenes. I try to make this clear for people, whenever I talk to others, teaching them or trying to make it clear where dreams are played out. It is not an easy job, especially for beginners, who were always only into physical perspective. But we need to start somewhere. The non-physical world is our true home and that is what I try to explain now in several books and on my site for a while. It is the solid foundation, which you understand, then you have an easy job “there”. People need to first acknowledge the fact that the physical world is just one from countless ones and we are not even going “elsewhere” while dreaming. We can be conscious, we can be unaware but the fact is that we are consciousness, experiencing an endless spectrum of experiences in the Multiverse, where we are already existing on all levels where we have tasks to do or interest. So dreams, lucid dreams, and other phenomenon are, all the same, we are just detaching from our intense daily physical world focus state and move on to continue experiencing. The most are untrained and have no intent for this. Dreams are your non-physical life and nature, you just didn’t know about this if I could guess. This is a complicated thing because our civilization is very brainwashing in nature, we are living in a control system, which will shape unconscious people. There are the basic tools, which I described step by step in the book and if you follow those steps, you can help yourself in elevating your awareness level. That is all, what you need but how you reach this point is up to your mind. You need to first calm down, condition yourself on purpose to reach a certain state. After you are done and made it into practice, you have an easier job. As you may understand the nature of dreams and where they are taking place as simulations or real places, you have the foundation. You need to then prime your mind to the task. Each time, you need to do it because this is how our reality works. You need to plant the intent. Learning controlling your dreams is one thing, but what you can experience is way otherworldly with the correct mindset. You will learn all of these and you are free to choose your path towards your non-physical adventures. I make clear statements about what to do, what to expect, what is this all about. You don’t need to read more than a hundred pages about almost nothing but religious guessings and theories. Then you need to write a diary in any forms to help yourself be more aware and the mindset itself will do the trick. It is all intent, again. You need to decide that you want this and new doors are opening up for you. After certain chains of events, guidance will see from the other side that you are serious and you will get more tasks or nice experiences, new doors are opening up again, fear tests are coming etc. Until you will find this very important because dream life is our “waking up to more” experience behind the scenes. It is all about your personal journey and evolution, learning about yourself and the system. If it is not your intent, you can still write down nice experiences and enjoy more. If you don’t enjoy your dream life, you can improve it the same way what is in the book and you can stop bad experiences also. All tools are included for a full picture. Not in any and I won’t share any of those. I don’t share religious, mystical and mediumistic nonsense, only what I know, what I experienced and what I know about which others also experienced. I won’t fool people and I would like to just help others realize that they don’t need to be afraid and they can have nice experiences, even after decades of no real dream recall. Our civilization and rushing nature do this. We just don’t have mind space for this. You will realize what endlessly more is out there beyond our limited world, that if you stop denying the obvious that you were already in countless other realities and start to believe in yourself, you can make your daily life much fuller with this lifestyle. It is not about escaping from the physical world, quite the opposite. You will know who you are later with hundreds of experiences and realize that you were much more and never been a physical being in core. I hope people will enjoy the book and only judge it by the valuable content. You can purchase the book on Amazon Kindle here. Lastly, I don’t like KDP anymore and I try to avoid people driving there. Update: I made an exact copy of this great book and you can purchase it on Payhip too. Just with slight differences but the text is the same. Updated on 16th of november in 2018. I HAVE, this is the joke. Nobody uses it ever (I don’t know, they don’t see it?)! It is directly on the front page, to the right side. I will move it upwards from now on. You are kind, thank You! I wish more readers like you. You and others can contact me personally too, don’t be afraid. Update: You with some others over the months made me write an article about this issue, it is now in the Articles. The Facebook fan page is now alive. Previous Previous post: What is that high-pitched sound in your ear?